IVEE one of the vendors in my affiliate program, is generously offering a $100 gift certificate to one lucky Allie’s Answers reader. IVEE is committed to making greener choices wherever possible. They use an eco-friendly dying process. The Bamboo Luxe by IVEE line uses the antibacterial and hypoallergenic properties of bamboo to create workout gear that naturally controls odor and won’t irritate your skin. And, they are constantly looking for ways to make their processes easier on the earth. To enter the Allie’s Answers Ivee Gift Certificate Giveaway, visit the IVEE site. Check out the IVEE Look Book, and come back here to leave a comment telling us which piece you like the best. I’ll use a random number generator to select a winner on Monday, May 18th, and will announce the winner then. Comments that appear to be spam will not be counted. And stay tuned. I’ll give you a chance for a second entry on Thursday. And, be sure to follow IVEE on Facebook and Twitter! Oh, I have one of their tank tops! I love it! I’ve not looked into this company, but they look like they provide perfect clothing for yoga which I love. Consider me entered even though I’ve been incognito? The ella and the sophie tops are really cute while being athletic. I’ve seen ads for this company before, but not checked them out. Thanks for bringing them into the light. Ooh, what a great giveaway! I like the Claire top. Pick me! Pick me! How cool! I love the Hailey hoodie. I’d probably go for any of their capri pants because I love capri workout pants. I’ve never heard of this company – but their workout gear looks great! I would get the Sage Bamboo Terry Pants in black! I’m assuming I can’t fairly enter this contest, but it’s worth a shot, right? I like the zoe jacket! Oh! I love them all. Although my personal favorites are the hailey hoodie and the choloe top. Oddly enough, I also really like the headbands. I have never heard of this company before and I’m always on the search for sustainable clothing. I loved the Sydney Pants. Toss my name in the hat, Allie. Hannah Bamboo Pants … love them!! thanks for sharing this brand with us, all their clothes look SUPER comfy! Oh, I like the Sydney pants and the Hannah pants. I have the Claire tank! I like the Trinity bamboo hoodie. I really like the Sydney bamboo pants and the Sophia top. I’m curious how bamboo wears, and if their pants are ok for us midgets. I definitely “need” the Coral/Red Ella top. I love the straps! Great stuff: I think we need to learn to sew with bamboo. Maybe that should be a sewing class this summer here on Gregory Street! I’m torn between the Claire and Ella tops. The Vivian pants are my favorite bottoms. I like the Sophia tops. They prove that eco-friendly can look cute, too. Their clothes are awesome! The pink top in the ad to the right hand side of the page caught my eye (the Ella), but following the rules I also visited the site and like … hell, what DON’T I like there?! Love the Ava Top in Black. Looks like great yoga clothing…I could really use that prize money! I love red so my favorite is: Zoe Jacket in Red. Thank you for such a great and informative blogg! I just love the Ella top! It’s so cute! I love the Kayla Tunic. Very chic! 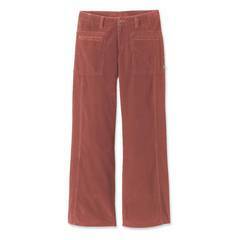 The Sage Bamboo Terry Pants look oh-so-comfortable. I like the Zoe jacket. Very cute! I really like the Sophia Top in Black/White. Thank you!